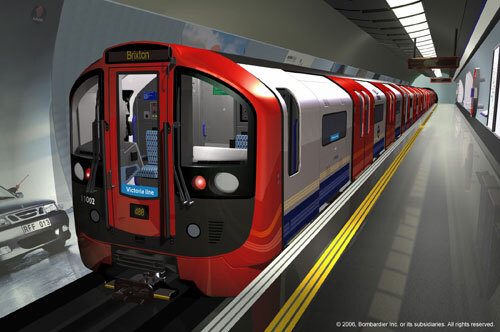 Requirement: London Underground and tube train manufacturer Bombardier needed to prototype a series of new ‘train-driver instrument panels’ for the new stock of Victoria Line trains. Building the physical displays was too expensive and time consuming and would not allow for rapid iteration. Solution: Working for Davis Associates we created a bespoke application that synchronised video with new driver display layouts using data collected from a full size driver simulator. Focus groups of drivers were then able to watch our simulation and comment on new designs in a realistic but ‘digital’ environment. Our take: The key to making our visualisations realistic was getting data downloaded from the simulator. We used triggers in the data to set the position of our virtual instruments which made the video and instrumentation marry exactly as if in the simulator. This all happened in real time, meaning it was straight forward to iterate graphics and re-run. For the record: Code Vanilla was commissioned by Davis Associates who conceived of the idea, defined the scenarios, captured the simulator data, created the majority of the graphics, conducted the driver research and designed the PDP that is now in service.